As we live together in a post-Occupy and post-Edward Snowden society, it seems important, and has been personally therapeutic for me, to find new kinds of activism which raise awareness about the injustice in our world. My partner, Ani Cordero, and I are seeking to radicalize people through Cordero’s new project that shows how political protest, dissent, and freedom were expressed and oppressed in Latin American history. Ani Cordero’s project, Recordar (Remember), seeks to remind Spanish speakers and English speakers alike of the terrors of past governments and the ways that the people responded with folk songs, love songs, and political protest. Look, for example, at what the government in Chile in 1973 did to prevent political protest. 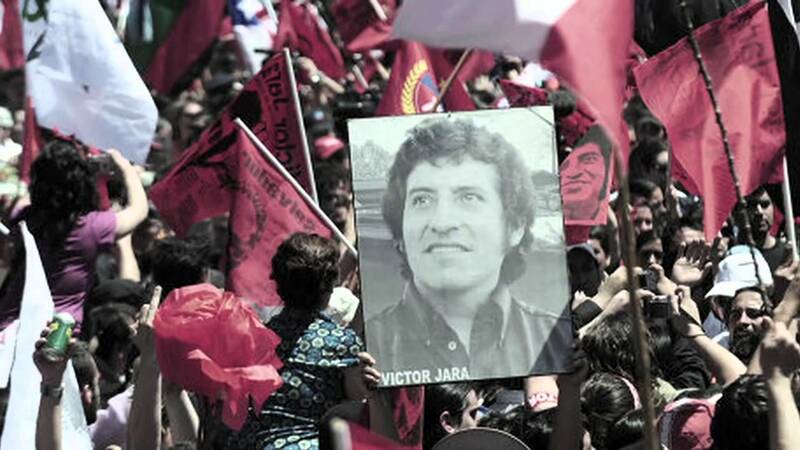 Victor Jarra, outspoken folksinger of the “Nueva Cancion” music movement, was murdered by the new government– his body placed in a public square as symbol of the new regime’s power to chill protest. If you will, imagine this happening in your own culture. Try to imagine that Homeland Security agents might arrest and later murder Bruce Springsteen at the Occupy Sandy/Occupy Christie #Bridgegate demonstration at the New Jersey Capitol building. It may seem dramatic, but the USA is not far from something like this actually happening. The NDAA law currently permits US citizens to be detained indefinitely without trial, and H.R. 347 brings us much closer to making a political protest into a federal crime. “I’ve recorded an album that reinterprets 11 classic Latin American songs from the 1930s-1970s with the goal of introducing this music and its writers to new audiences. The album features songs by musical folk heroes who used music as a way of inspiring social change, including Victor Jara, Ali Primera, Atahualpa Yupanqui, Chavela Vargas, Violetta Parra, and Os Mutantes. Many such great songwriters were exiled or killed for the beliefs expressed in their music. These songs may not be on the radio and the message is just not present enough among people who are fighting oppression everywhere.